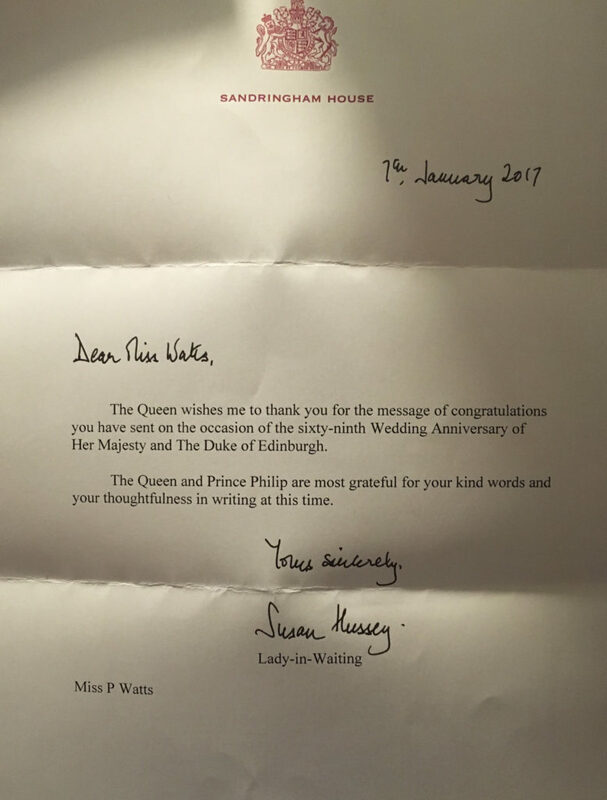 have to confess I got this letter off rather late on 29 November 2016. I honestly forgot on the day of the anniversary that I had not yet sent the card and when I went back to check the orders that I had on file with the UK-based card company there was not one for their anniversary…uh oh. I received this reply today, 24 January 2017.